A pleasant pub with some good beers (Portobello when I was there) and good to find a place that's open on a Saturday evening in an area consisting mainly of offices. Catbert, I have no idea what SilkTork is banging on about. 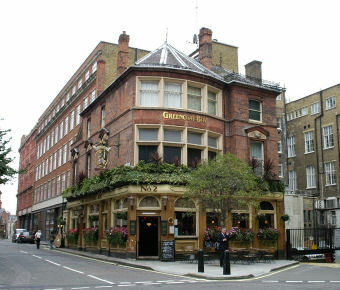 The Greencoat Boy is not a family pub and all the better for it. Kids don't belong inpubs so perhaps SilkTork would be better off going to a cafe or wacky warheouse and leave pubs for the adults. Anyway to the pub. 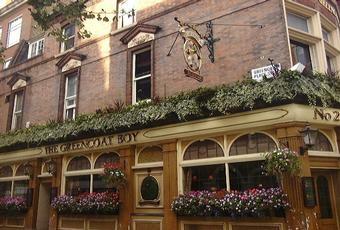 I went in to the Greencoat Boy for the first time this weekend as I am working round the corner in Westminster. It is a decent sized boozer with very friendly staff and a decent range of ales (four from memory) on cask. Personally went for a pint of Aspel which was very good. Looked at the pints being poured for other punters and they all looked in good condition. It was a bit of fleeting visit as I had to get a train from nearby Victoria but will visit again when I have more time. All in all one of the best pubs in the Victoria area, a pat of London not blessed with the best boozers. Will give it a provisional 7. SilkTork - in no way does this claim to be a family pub. Maybe there's a nursery or a TGI Friday in the area that would better suit your needs. For kevmac: It's a family pub - that means it wants to encourage families. Families have children. Children need child seats. It's like promoting yourself as a nightclub, but not having any music; or promoting yourself as a sports bar, but not putting on any sports events or providing any pool tables. Every other family pub I've been to has child seats. It's a basic.